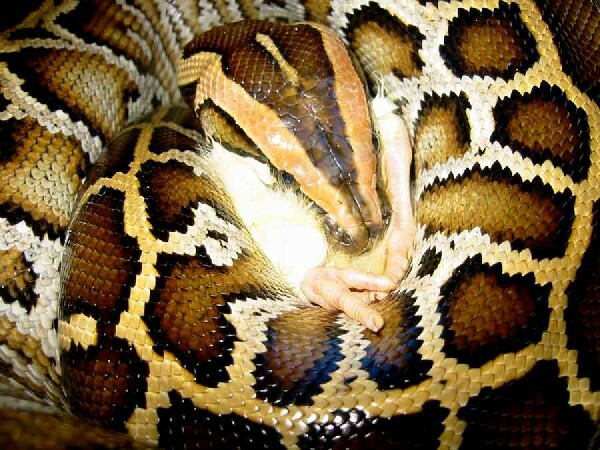 Is it safe or advisable to allow an exotic snake ie, ball python, red tail, carpet python etc. to free roam in the grass? Supervised of course, I see postings of photos of other peoples animals and wonder if parasites, or other adverse things might cause an undesirable effect. Thanks for responding and helping with my question. Over the weekend kingsnake.com launched the first of several planned "Breed Specific" breeder directories, with the initial directory for Ball Python breeders that are currently listed in kingsnake.com's master Reptile & Amphibian Business Directory. Current Reptile & Amphibian Business Directory account holders are listed at no extra charge as the system is based on that directory. The first of a number of planned directories based on the master directory, it is important that Business Directory account holders update their account settings to make sure that the proper search terms, in this case Ball Python, are included in their account listings "Description" or "Key Words" fields to make sure that their listing appears in this and the other directories yet to be launched. Another important reason for Reptile & Amphibian Business Directory account holders to update their listings is the addition of Facebook, Twitter and Youtube links in your kingsnake.com listing. Make sure you have your social network links appear next to your business listing by updating your account today at http://www.pethobbyist.com/myaccount/bus_dir.php. If you do not have a Storefront/Business directory account for your business and would like to be in our directories, the cost is for listing is $150.00 and it can be purchased online at http://www.kingsnake.com/breeder.html under the "list a business" tab. You may have noticed some other new things in the ball python classifieds this weekend as well. Part of the Ball Python Breeder Directory and now part of the classifieds are two new features similar to our Featured Business Listing. The Featured Ball Python Breeder listing is an extended and enhanced mixed media text/graphics listing that appears not only in the Ball Python Breeders Directory but listings also appear one at a time in the new tabbed Ball Python classified interface. This listing, appearing as part of the Ball Python classifieds, was displayed over 55,000 times just on Saturday and with the launch of the Breeder Directory will only get busier. Listings currently costing a flat rate of $50.00 for 6 months or $100 for 12 months. To purchase a Featured Ball Python Breeder listing please go to http://www.kingsnake.com/featuredbreeder.html We already have a few early adopters so check out their listings. Both of these listings, appearing as part of the tabbed Ball Python classifieds, were displayed over 55,000 times each just on Saturday and with the launch of the Breeder Directory will only get busier. Which breeder directory to do next. Carpet Pythons? Hognose Snakes? Crested Geckos? You tell us! Kyle and I shot a video clip of my original "Karma" female wrapped around a pile of eggs.......10! It seems like just yesterday when she first emerged from her egg....wayyyy back in 2003 clutch # 14.